These are the heroes of a fantasy themed throwing game Macha (Blue), Eiffel (Green) and lil Red. 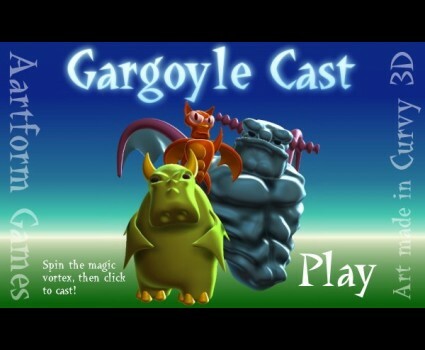 Chuck a gargoyle deep into the swamp and bounce your way to destroy the minions of evil. For extra range the bigger gargoyles throw the smaller ones in flight.